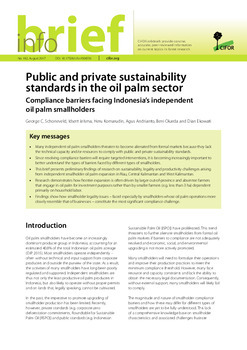 The global palm oil value chain has grown in complexity; stakeholder relationships and linkages are increasingly shaped by new public and private standards that aim to ameliorate social and environmental costs while harnessing economic gains. 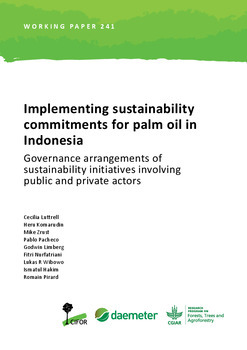 Regulatory initiatives in the emerging policy regime complex struggle to resolve sector-wide structural performance issues: pervasive land conflicts, yield differences between companies and smallholders, and carbon emissions arising from deforestation and peatland conversion. 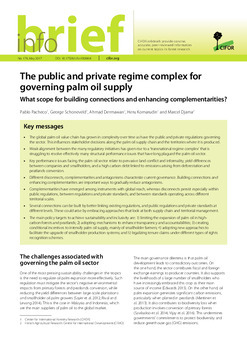 Identifying opportunities for more effective governance of the palm oil value chain and supply landscapes, this paper explores disconnects, complementarities, and antagonisms between public regulations and private standards, looking at the global, national, and subnational policy domains shaping chain actors conduct. 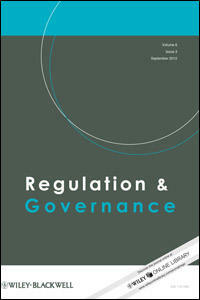 Greater complementarities have emerged among transnational instruments, but state regulation disconnects persist and antagonisms prevail between national state regulations and transnational private standards. Emerging experimental approaches, particularly at subnational level, aim to improve coordination to both enhance complementarities and resolve disconnects.